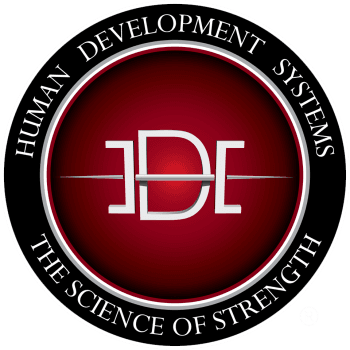 Human Development Systems Inc. specializes in trainer and coach development programs, running, managing and operating training facilities & CrossFit affiliates, affiliate programming, competitors programming , sport performance, and athlete development programs. 25 years of experience in Programming, Olympic Lifting, Powerlifting, Russian Hardstyle Kettlebell, Gymnastics, Calestenics, Sports performance and Nutrition. HDS will provide each trainer, coach and athlete with a highly challenging and educational training environment. Athletic development, sport-specific training programs, weight management and injury prevention methods are all focused around three principals; Training, Nutrition and Education. By combining body, mind and science into our programs tailored to we strive to teach our coaches to be able to access, identify and educate their athletes themselves to have the highest level of sucess with the least vunerablility to suffer injury. We pride ourselves on our ability to teach, motivate, inspire and help every coach we work with to unleash their potential. We believe in complete educational development. Our training and developmental goals are based on improving performance, decreasing injury potential, and helping coaches develop to the highest level. Athletic development includes all activities which enhance athleticism and sports performance. These include strength, power, speed, agility, mobility, flexibility, endurance, durability, balance and stability. To maximize each of these aspects takes careful programming based on scientific research. We believe that all the systems in the body play an important role in maximizing biological power. We use an integrated approach, but base our methodology on clinical application and results.